> Ten best invisible artworks? > Best muffwiggler forum thread ever? Have you tasted your signal/cv plugs with your tongue? 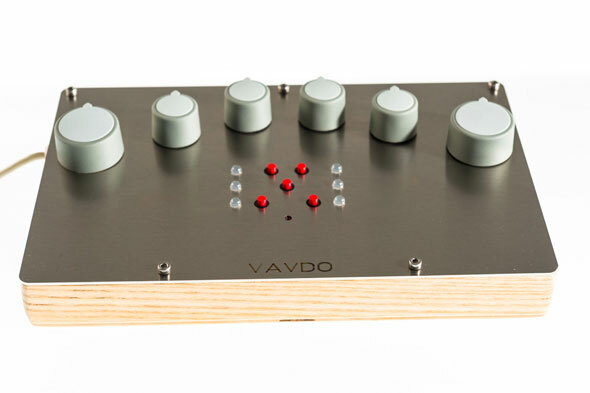 > “Vavdo A1 is a usb control interface. It allows easy simultaneous gestures from all your fingers, while having excellent feel and instant tactile & visual feedback. It is compatible with any software & hardware that receive serial, midi & osc data. It’s adaptable, durable, fast and easy. It’s handmade like a musical instrument” – and very interesting! Amazing blog! There is a lot of useful information!. Thank you so much!